Jesus is too big for the box we like to meet him in. 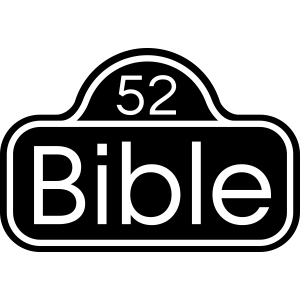 52 Bible contains basic Bible lessons, including outlines of the Bible and of Jesus’ life, some great Bible quotes, and always more to come. 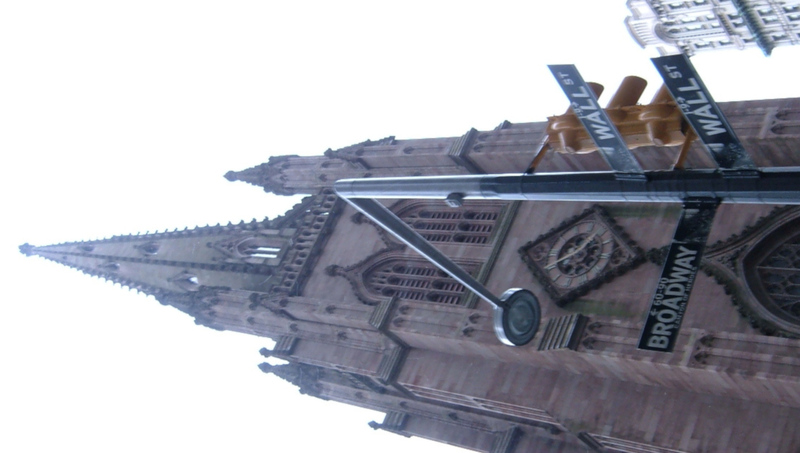 Watch Stand Pray is geared for the already self-motivated Christian, seeking a higher standard for a higher life. “365” is an excellent daily read. 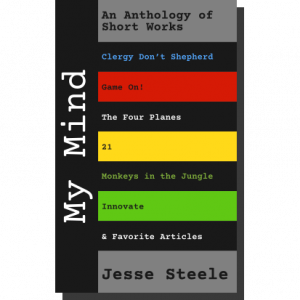 MyMind is a 600 page anthology of books not otherwise available in print. It includes: Clergy Don’t Shepherd, Game On!, The Four Planes, 21, Monkeys in the Jungle, Innovate, and a small collection of favorite articles. 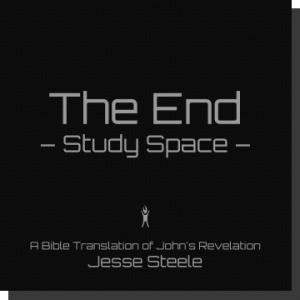 The End – Study Space is a triple space, 8.5″ square translation of the Book of Revelation by Jesse. It has extra room with well-grouped the text, all designed for taking Bible study notes. It includes a free license to make photocopies for a Bible study group. 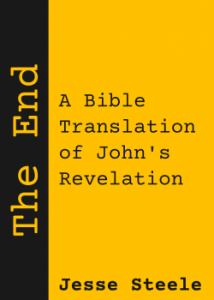 The End is Jesse’s own translation of Revelation from Greek. The actual translation is about 10,000 words. There is a 100,000 word “Translation Notes” publication explaining the reasons behind the translation. 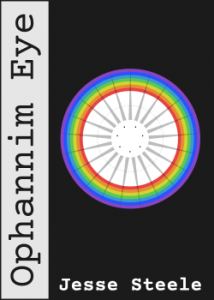 Ophannim Eye is an novel epic about the goings on of angels from before the Beginning through the Great White Throne Judgment. The timeline observes the relationships and conflicts among angels in Heaven before Creation, in several Bible stories, and in later events of history, all retold from a Biblically cohesive perspective of the angels. 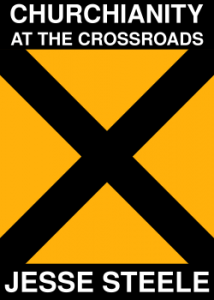 At the Crossroads is a playwrite explaining different perspectives in the Body of Christ. This came after years and miles of diverse and in-depth encounters with people from all corners of the Body of Christ in their various cultures and denominations. 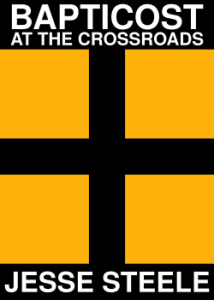 Bapticost at the Crossroads is the first installment and focuses on denominational reconciliation. Churchianity at the Crossroads is the sequel where a young pastor converses with Bible characters Paul and John, and different archetypal leaders in the Body of Christ, including inspiration from Mike Bickle, Bill Hybels, Watchman Nee, and wealthy Christian businessman and donor. 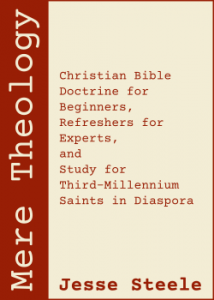 Mere Theology is a Systematic Theology book, both academic and readable. Any Christian seeking to understand in-depth Christian teaching could benefit from this book. 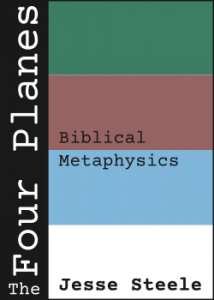 The Four Planes is a book about the fabric of our reality from a Biblical perspective. Specifically, what is the difference between the soul and spirit, what is the natural plane, and how do they relate to God? 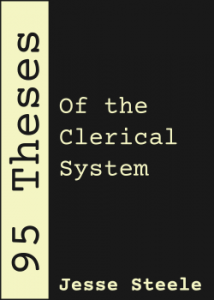 95 Theses of the Clerical System is a candid review of the current Sunday Morning culture in the Body of Christ and its very evident fallout—the greatest victims being pastors. It’s quite straight-forward. It’s a collection of 95 theses, with a brief introduction on basic terms. 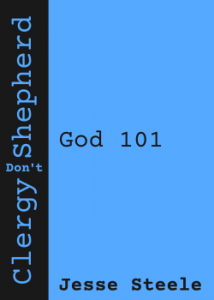 Clergy Don’t Shepherd explores the problems with the clerical system itself, exploring the burnout-intense job description of a “pastor”, the problem of the working definition of the modern “pastor’s” job description—lack of Biblical support coupled with depending entirely on Church history for what a salaried “pastor” is expected to do, and the unintended—or was it?—negative consequences for requiring this system of Christian fellowship on which the Bible is absolutely silent.